Rock Artist of the Year! This past weekend, I was bestowed with the title of Rock Artist of the Year at the 2014 International Music and Entertainment Association Awards, which honors the best in independent music and entertainment across the globe. I thank all of the industry professionals who voted for me, as well as all of my fans who took the time to participate in the fan vote! PARTY LIKE A ROCKSTAR! In addition to snagging the award, I also performed “Trouble” with my band during the ceremony. Fitting, as we were able to show the whole audience (and those watching the live-stream at home), just how hard we can REALLY rock out. That song is a BANGER live! I am confident I lived up to the title of Rock Artist of the Year. Big thanks to everyone who came out to see me perform with my band this summer! We definitely enjoyed all of the festivals and outdoor concerts…and BEAUTIFUL weather! I look forward to seeing more of your smiling faces in the audience in the future. And if you ever happen to take some pictures, send them to me! All of the photos below were taken by fans. Thanks so much and I appreciate all of the support! I am excited to announce that I have been nominated in THREE categories in this year’s International Music and Entertainment Association Awards! The Awards Ceremony will be held on October 4th. I will be performing and presenting! Think happy thoughts! 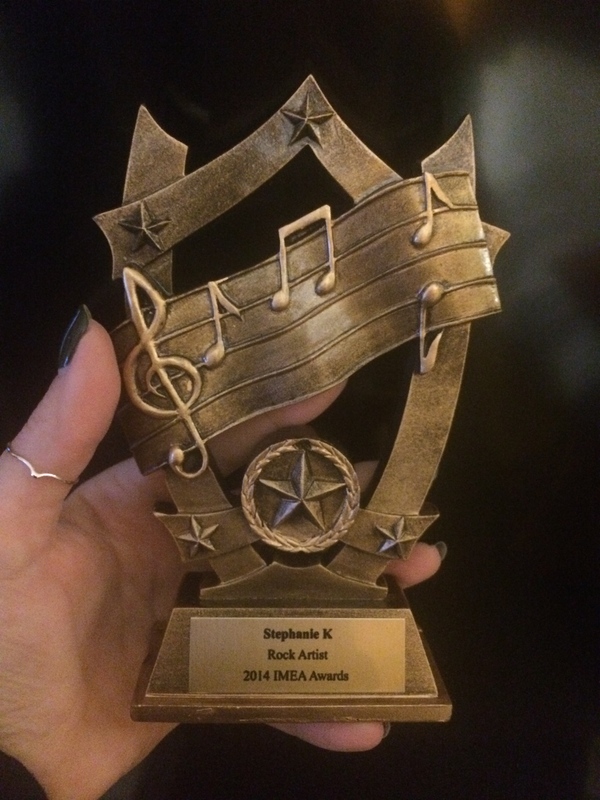 Unsigned Only Awards — 3 songs! UPDATE: ”Breaking Up” is OFFICIALLY A FINALIST in both the Unsigned Only Competition and the Screenshot Contest which honors the BEST in licensing/sync music across the globe! “Caught” Honored in the 2014 American Songwriting Awards! 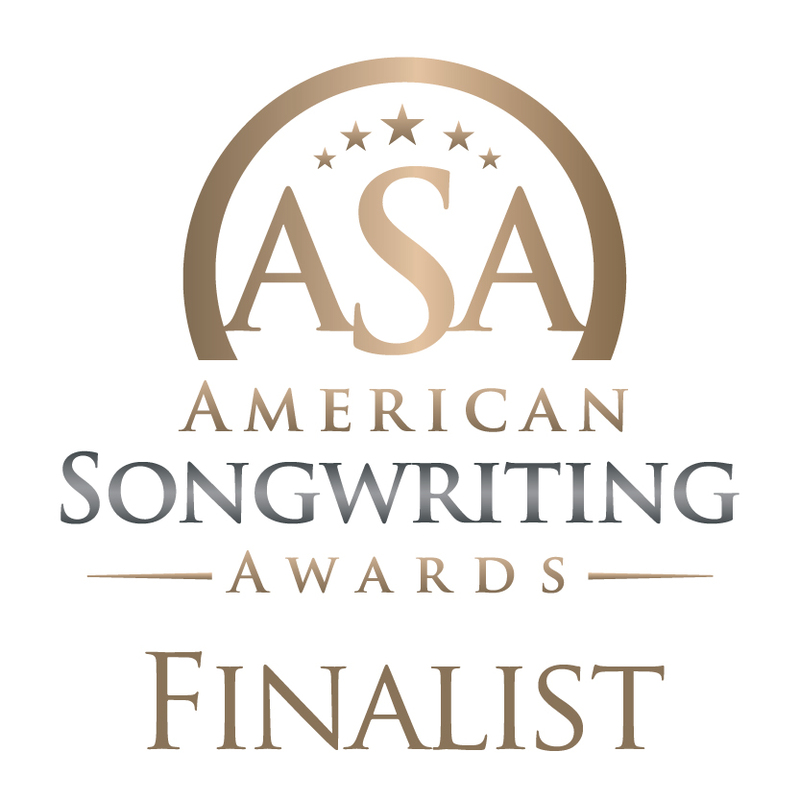 I’m very excited to announce that my song “Caught” is a Top 5 Finalist in the 2014 American Songwriting Awards! The heartfelt-ballad written by myself and Michael J Powell is among the TOP SONGS in the Performance Category, which recognizes excellence in songwriting as well as the artist’s delivery and performance. This very competitive category also encompasses ALL music genres. I have always loved “Caught”. It’s honest, simple and beautiful arrangement allows the true emotion in the vocals to shine. I am so thrilled to have it receive this type of recognition. Listen to it on the music page! What’s more, “Story of a Broken Heart” was a semi-finalist in the Peformance Category, making the top 10! One of my brand new yet-to-be-released songs, “Prince”, was a semi-finalist in the R&B/Soul Category. I’ll let you guys hear it very soon! It is a JAM! I have so much exciting news. But I’ll just tease you with this for now.